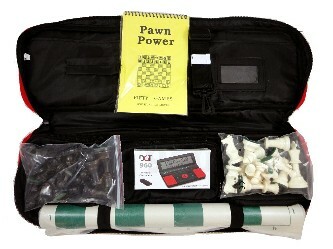 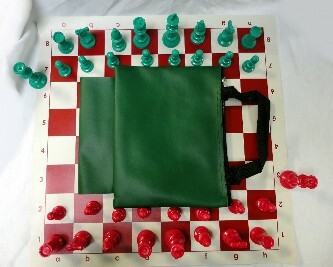 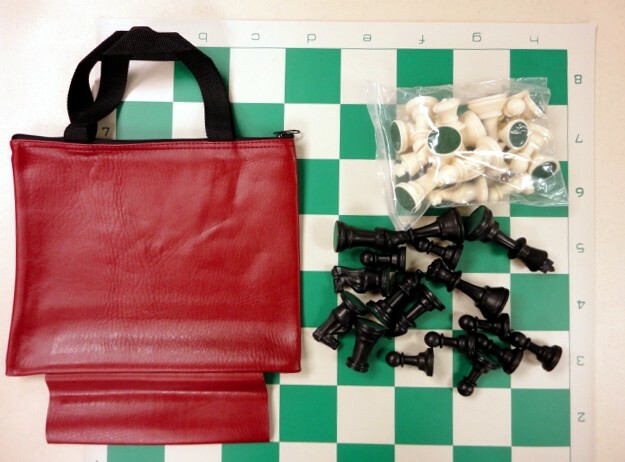 Bag w/ Loop Chess Combo - Black and White Plastic 3 3/4" King, Dual Queen, Scholastic Plastic Chess Set, Vinyl 2 1/4" Square Green board & Vinyl bag with sturdy woven seat belt material handle, and loop that holds the rolled up vinyl board. 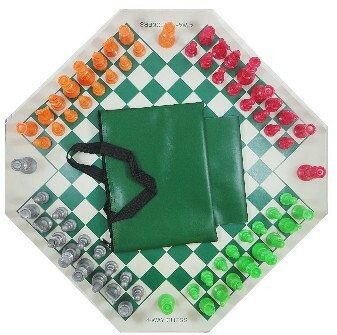 Choice of Colors for the bag are green, blue, black, and burgundy. 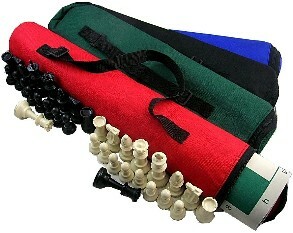 Also can hold a scorebook & smaller clock in bag.